This week marks the 6-week point until plants can be safely planted in the ground without the risk of being destroyed by a frost. But that doesn’t mean you have to idly wait for the growing season. Now is the perfect time to begin your garden indoors! 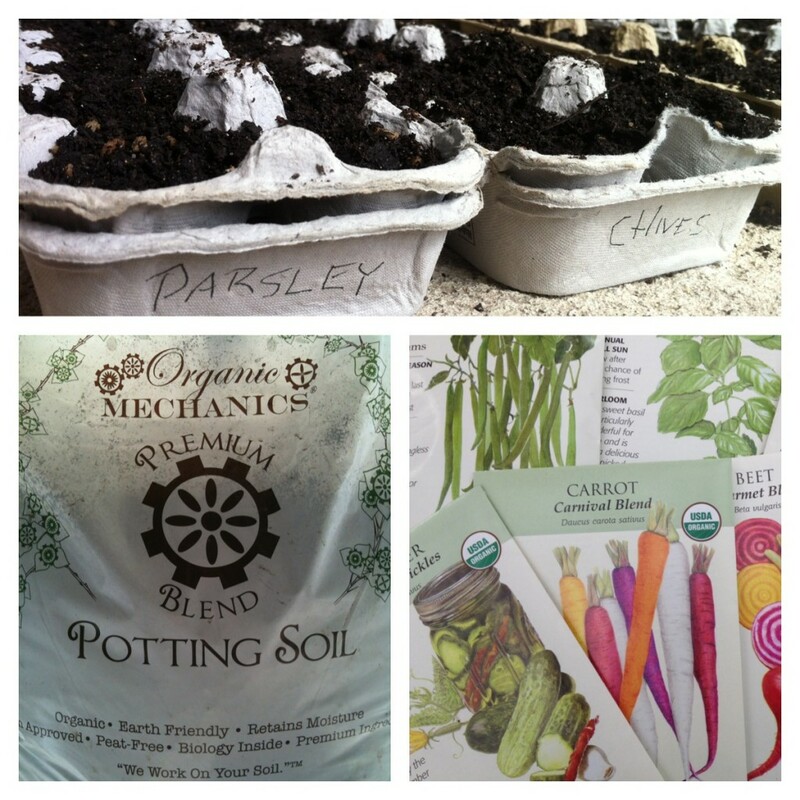 All you’ll need is a few basic household items plus the soil and seeds of your choice we have available at Wolff’s. Don’t forget we carry a full line of non-GMO (Genetically Modified Organism) seeds from Botanical Interests, an excellent family owned and operated company that supplies high quality seeds in an array of vegetable and herb varieties. Botanical Interests is so sure you’ll like their seeds that all the seeds are GUARANTEED. The germination rate of every variety is tested before it’s packaged, so you can be sure that your seeds will sprout. All of the seeds are untreated and non-GMO – and many of them come in USDA certified organic or heirloom varieties. 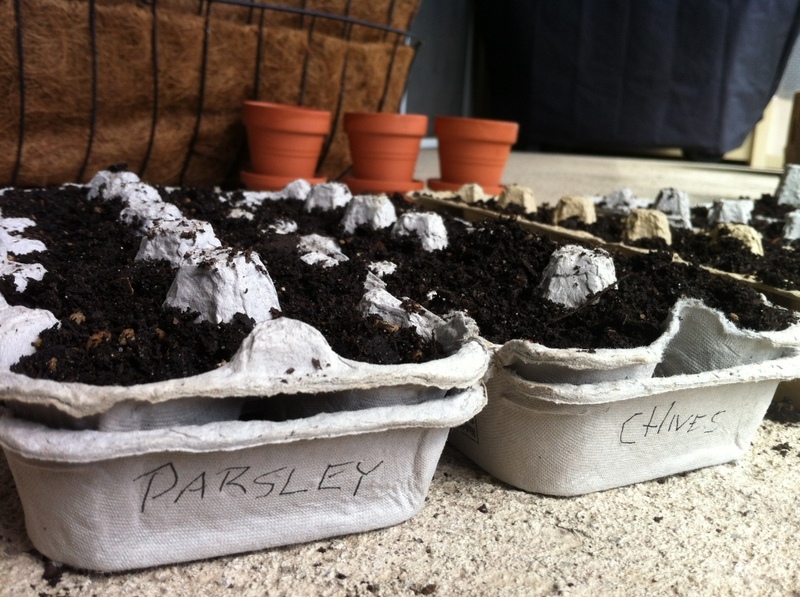 Empty egg cartons make an excellent little pot for your seedlings to get started in. Just gather a few cardboard egg cartons and follow the instructions below. Styrofoam or plastic cartons also work, however they are not biodegradable so you’ll have to transplant the soil and seedlings carefully. Cardboard, on the other hand can be planted directly in the ground and will breakdown in your garden. 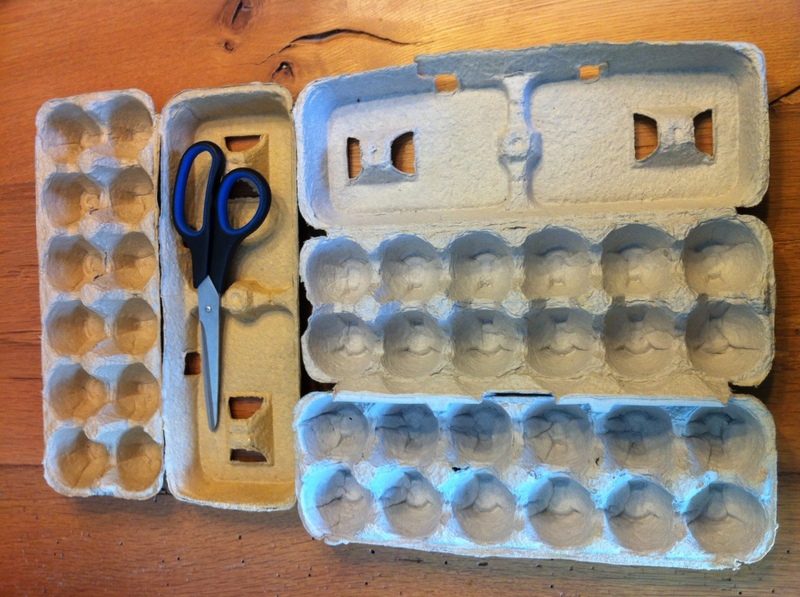 Cut the egg cartons in half. Nest the carton into the lid. Write the name of the seeds you will be planting on the side of the carton (the lid). If you will use more than one type of seed per carton, mark it as best as you can. Fill the cartons with soil. Water the seeds by spraying evenly with the spray bottle. Keep this handy and water your seeds 1-3 times per day. Place egg cartons on a cookie sheet or the lid of a Rubbermade container to prevent any muddy water from seeping on to your floor. Place the seedlings in a very sunny location or outdoors, bringing them inside in the evening. Wait for your seedlings to emerge! Follow the instructions on your seed packets to find out when they need to be transplanted. Share the fun! Plant a few extra seeds and share the plants with friends or family. If you don’t have a place to transplant herb seedlings in the ground, transform a window box into a container herb garden. Just be sure to group herbs together based on the type of sun and water exposure they need. For example, lavender, rosemary and thyme all thrive in dry, sunny locations and can die when overwatered. Basil on the other hand requires a lot of water. It’s also fun to group your herbs together into categories, such as Italian seasonings or herbs de Provence.